The World Health Organization estimates that about 1/3 of the world’s population – 2 billion people – are infected with tuberculosis. Tuberculosis, or TB, is a disease caused by bacteria called Mycobacterium tuberculosis. It can infect any part of the body, but classically attacks the lungs. TB has been aptly called the “Captain of the Men of Death.” It was once the leading cause of death in the United States. It remains the most significant infectious disease in the world in terms of human suffering and death. Evidence of tuberculosis has been found in the earliest human remains, from Neanderthal skeletons to Egyptian mummies. As the planet becomes progressively more crowded and more mobile, this contagious disease becomes even more of a problem. Anyone can get it. Children are most likely to get it from infected adults. This is most likely to happen in crowded or mobile conditions. In the United States about 10 to 20 million people are currently infected with tuberculosis – many fewer than found in most countries. Children in elementary school and middle school are less likely to get tuberculosis than are younger children or older teens. Children with HIV are especially susceptible. Most children who are infected with TB do not feel sick, do not have any symptoms, and cannot spread TB. This is often called a latent infection. Those who are infected may go on to develop active TB disease at some time in the future. The symptoms vary depending on what parts of the body are infected, but classic symptoms include fevers, chills, night sweats, cough, and weight loss. Sometimes active disease shows up with a completely different set of symptoms, as in tuberculous meningitis or arthritis. Yes, but young children almost never spread the disease. Children are most likely to catch it from adults. The bacteria are put into the air when an adult or older child with TB disease of the lungs or throat coughs or sneezes. People nearby may breathe in these bacteria and become infected. Often prolonged or repeated exposure is needed. Most children catch the illness from a household or family member. How long does tuberculosis last? This is a chronic infection, lasting many years unless treated. 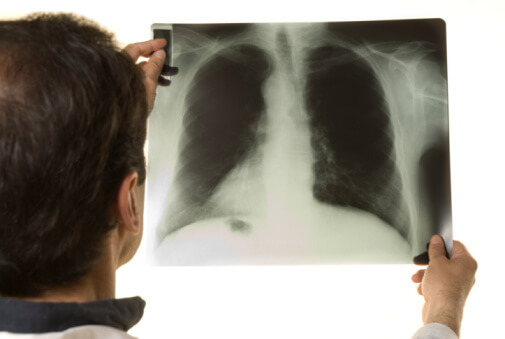 Exposure to TB may be suspected based on positive TB skin tests. The diagnosis may be confirmed by identifying the Mycobacterium tuberculosis bacteria in a body fluid specimen. There is a new blood test that may be useful in detecting tuberculosis, called the Quantiferon TB Gold test. Unlike the TB skin test, this does not require a repeat visit to the doctor’s office in 2 to 3 days. People with TB disease can be treated with a specific combination of antibiotics. The various combinations of drugs used depend on the part of the body infected and the antibiotic resistance of the bacteria, since Multidrug-resistant TB (MDR TB) and Extensively Drug Resistant Tuberculosis (XDR TB) are becoming more prevalent problems worldwide (www.cdc.gov/tb). Children who have latent TB infection but are not yet sick can take a prescribed course of medication so that they will never develop TB disease. Finding and treating individuals with tuberculosis is the best way to prevent tuberculosis in their close contacts. The TB skin test is used to discover TB exposure in people before symptoms develop. Outside of the United States, in regions with widespread tuberculosis, the BCG (bacille Calmette-Guérin) vaccination is often used to prevent TB in young children. (www.cdc.gov/tb/pubs/tbfactsheets/BCG.htm).